Where Moses Failed, Christ Prevailed! 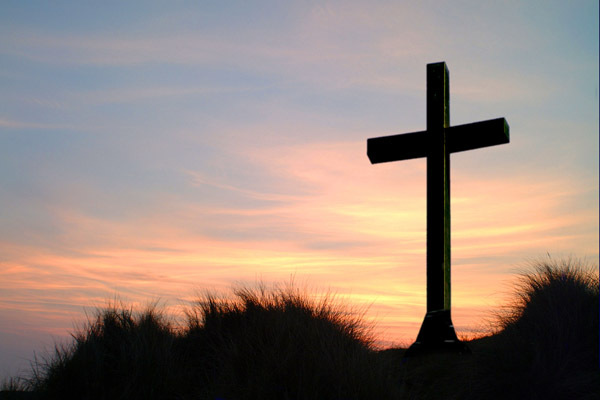 ~An Easter Meditation – Called. Convicted. Converted. I was meditating today about the whole point and message of the death and resurrection of Christ. Have you ever thought about what it means? Or why Christ died for sinners? How can the whole idea of atonement (two parties being brought together) be so linked to sacrifice? My mind went back to a passage I was reading in Exodus 32 last week when I was super early for a bible study and hungrily wanting to see something precious in the Word. 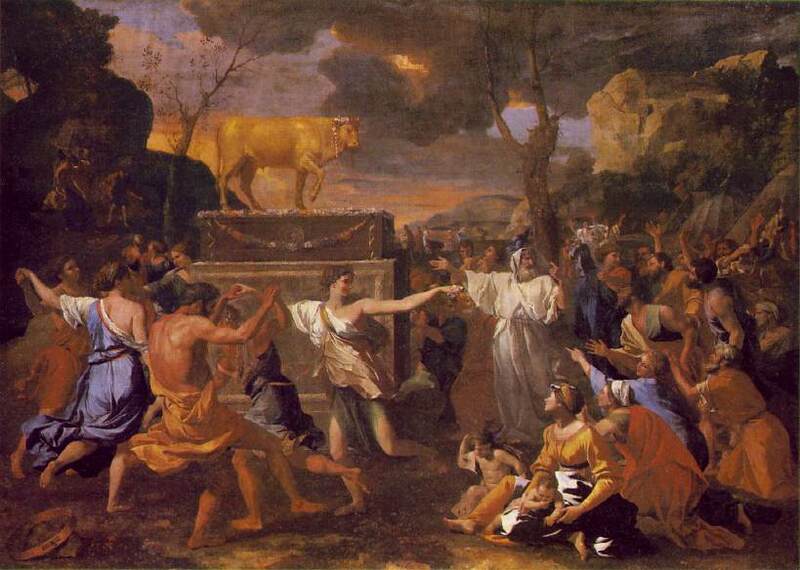 I read about how the Israelites made the Golden calf while Moses and Joshua were away from the camp. God had called Moses up to Mount Sinai to hear from Him and to receive the commandments and instructions for the people. Moses was gone for a whole 40 days! The people started getting anxious… I think we do that as well, when we don’t here from God, or at least don’t hear what we want to or when we want to. 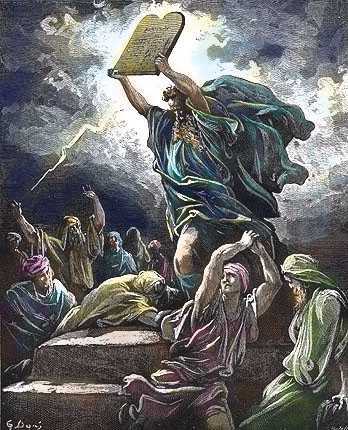 Verse 1 records, “Now when the people saw that Moses ﻿﻿delayed to come down from the mountain…” That’s the start; in this situation the people were not keen on the timing. So they come up with the master plan; since God is taking so long let’s sought it out ourselves, “the people assembled about Aaron and said to him, “Come, ﻿﻿make us ﻿﻿a god who will go before us; as for ﻿﻿this Moses, the man who brought us up from the land of Egypt, we do not know what has become of him.” This is a rather interesting statement, ‘Moses brought us out of Egypt, but wow, we are not sure if this guy survived being on a mountain (notice they say Moses brought them, not God, interesting change of main character in their mind, perhaps it makes there forming of an idol easier on the conscience). Anyway Aaron makes the idol, the infamous golden calf, and when Moses comes down, as if to detach himself from guilt says, ““Do not let the anger of my lord burn; you know the people yourself, ﻿﻿that they are ﻿﻿prone to evil. “For ﻿﻿they said to me, ‘Make ﻿﻿a god for us who will go before us; for this Moses, the man who brought us up from the land of Egypt, we do not know what has become of him. said to them, ‘Whoever has any gold, let them tear it off.’ So they gave it to me, and ﻿﻿I threw it into the fire, and out came this calf (v22-24)”. Shame poor Aaron, this calf just came out the fire (maybe he was the first guy to postulate some kind of spontaneous generation). 2 Corinthians 5:21 tells the story, “He made Him who ﻿﻿knew no sin to be ﻿﻿sin on our behalf, so that we might become the ﻿﻿righteousness of God in Him. Guilty vile and helpless we. Spotless lamb of God was He. Full atonement can it be?! ← Resume of Blog. Encouragment for Christians!